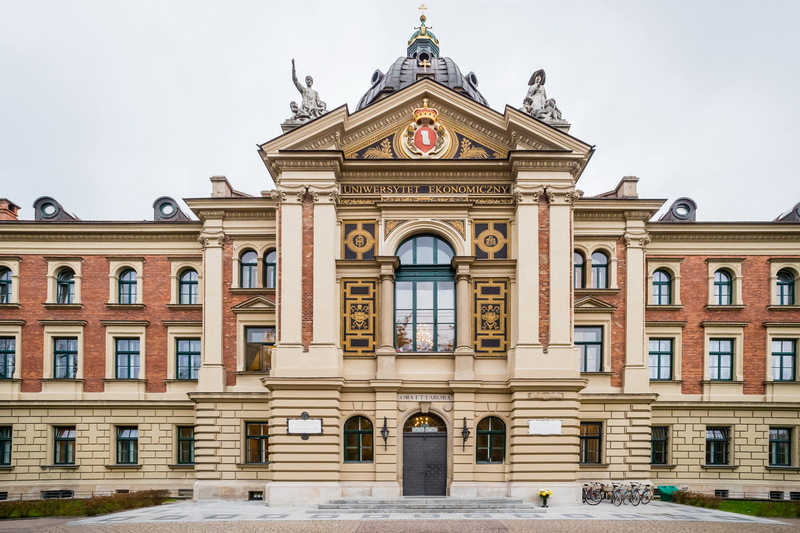 The European Network for Philosophy of Social Science (ENPOSS) completed its annual conference in Krakow last week. It was a stimulating and productive success, with scholars from many countries and at every level of seniority. ENPOSS is one of the most dynamic networks where genuinely excellent work in philosophy of social science is taking place (link). Philosophers from Germany, Poland, Norway, Spain, France, the Netherlands, the UK, and other countries came together for three intensive days of panels and discussions. The discussions made it clear that this is an integrated research community with a common understanding of a number of research problems and a common vocabulary. There is a sense of continuing progress on key issues — micro-macro ontology, social mechanisms, naturalism, intentionality, institutional imperatives, fact-value issues, computational social science, and intersections of disciplinary perspectives, to name several. Particular highlights were keynote addresses by Dan Hausman (“Social scientific naturalism revisited”), Anne Alexandrova (“Are social scientists experts on values?”), and Bartosz Brozek (“The architecture of the legal mind”). There were also lively book discussions on several current books in the philosophy of social science — Chris Mantzavinos’s Explanatory Pluralism, Lukasz Hardt’s Economics Without Laws: Towards a New Philosophy of Economics, and my own New Directions in the Philosophy of Social Science. Thanks to Eleonora Montuschi, Gianluca Manzo, and Federica Russo for excellent and stimulating discussion of my book. It is interesting to observe that the supposed divide between analytic and Continental philosophy is not in evidence in this network of scholars. These are philosophers whose Ph.D. training took place all over Europe — Italy, Belgium, Finland, Germany, France, Spain, the UK … They are European philosophers. But their philosophical ideas do not fall within the stereotyped boundaries of “Continental philosophy.” The philosophical vocabulary in evidence is familiar from analytic philosophy. At the same time, this is not simply an extension of Anglo-American philosophy. The style of reasoning and analysis is not narrowly restricted to the paradigms reflected by Russell, Dummett, or Parfit. It is, perhaps, a new style of European philosophy. There is a broad commitment to engaging with the logic and content of particular social sciences at a level that would also make sense to the practitioners of sociology, political science, or economics. And there is a striking breadth to the substantive problems of social life that these philosophers are attempting to better understand. The overall impression is of a research community that has the features of what Imre Lakatos referred to as a “progressive research programme” in Criticism and the Growth of Knowledge — one in which problems are being addressed and treated in ways that sheds genuinely new light on the problem. Progress is taking place. There were two large topic areas that perhaps surprisingly did not find expression in the ENPOSS program. One is the field of critical realism and the ideas about social explanation advanced by Roy Bhaskar and Margaret Archer. And the second is the theory of assemblages put forward by Deleuze and subsequently elaborated by DeLanda and Latour. 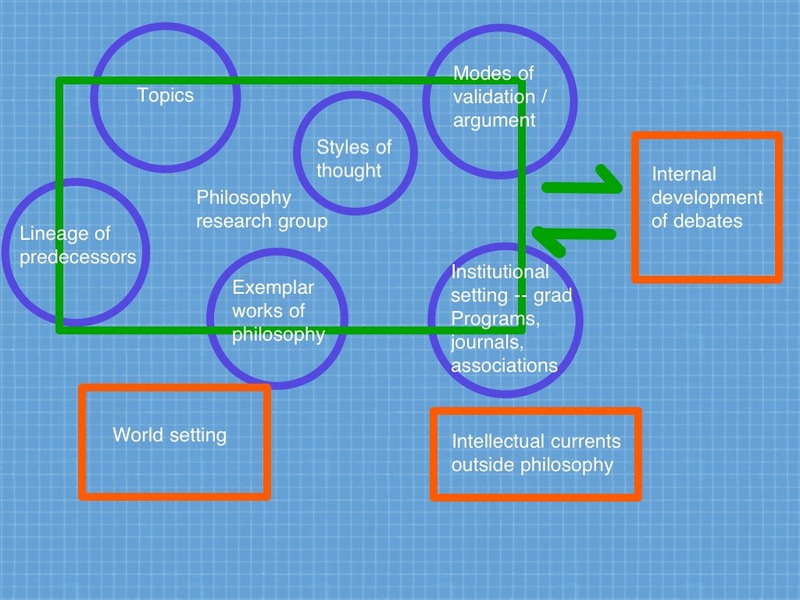 These topic areas have drawn a fair amount of attention by social theorists and philosophers in other parts of the philosophy of social science research community. So it is interesting to realize that they were largely invisible in Krakow. This leads one to think that this particular network of scholars is simply not very much influenced by these ideas. Part of the dynamism of the ENPOSS conference, both in Krakow and in prior years, is the broad sense that these issues matter a great deal. There was a sense of the underlying importance of the philosophy of social science. 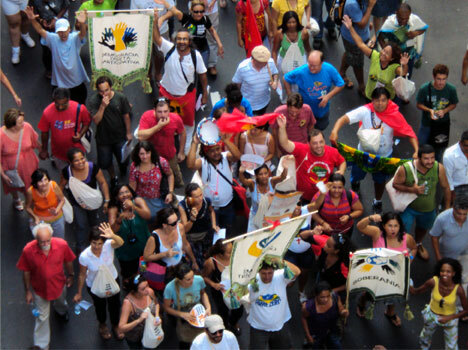 Participants seem to share the idea that the processes of social change and periodic crisis that we face in the contemporary world are both novel and potentially harmful to human flourishing, and that the social sciences need to develop better methods, ontologies, and theories if they are to help us to understand and improve the social world in which we live. So the philosophy of social science is not just a contribution to a minor area within the grand discipline of philosophy; more importantly, it is a substantial and valuable contribution to our collective ability to bring a scientific perspective to social problems and social progress. Next year’s meeting will take place in early September at the University of Hannover and will be a joint meeting with the US-based Philosophy of Social Science Roundtable. The call for papers will be posted on the ENPOSS website. Neil Gross has a remarkably good ear for philosophy. And this extends especially to his occasional treatments of the influences that helped shape the discipline of philosophy in the United States in the second half of the twentieth century. His sociological biography of Richard Rorty is a tour de force (Richard Rorty: The Making of an American Philosopher; link). There he skillfully maps the “field” of American philosophy (in the Bourdieusian sense) and places the evolution of Rorty’s thought within the landmarks of the field. The book is an excellent exemplar of the new sociology of ideas, bringing together material, symbolic, and intellectual forces that influence the direction and shape of an intellectual tradition. In his contribution to Craig Calhoun’s Sociology in America: A History Gross offers a very short description of the ideological and social forces that helped to determine the directions taken by the philosophy discipline in the post-war years, and this too is very illuminating. In contrast to historians of philosophy who tell the story of the development of a period in terms of the internal intellectual problems and debates that determined it, Gross seeks to identify some of the external factors that made the terrain hospitable to this movement or that. (Consider, by contrast, the internalist story that Michael Beaney tells in The Analytic Turn: Analysis in Early Analytic Philosophy and Phenomenology and in many chapters of The Oxford Handbook of The History of Analytic Philosophy.) Several paragraphs are worth quoting at length, since philosophers are unlikely to browse this collection on the history of American sociology. Gross goes on to describe the advent of ordinary language philosophy (Ryle, Austin), and the logical positivists. The positivists are particularly important in his story and in the subsequent development of professional academic philosophy in the United States. And Gross offers a sociological and political hypothesis for why analytic philosophy prevailed over pragmatism and idealism. This is a nuanced and plausible precis of the evolution of academic philosophy during these decades, and the material influences that Gross cites (the influx of Vienna-school philosophers caused by the rise of Nazism, the political threat of McCarthyism) seem to be genuine historical causes of the rise of analytic philosophy dominance. And, consistent with the methods and priorities of the new sociology of ideas (link), Gross is very sensitive to the particulars of the institutions, journals, and associations through which a discipline seeks to define itself. Contrast this narrative with the brief account offered by Michael Beaney in his introduction to The Oxford Handbook of The History of Analytic Philosophy. Beaney too points out the importance of the exodus of positivist philosophers from Europe caused by the Nazi rise to power (kl 636). But the balance of his account works through the substantive ideas and debates that took center stage in academic philosophy in the 1940s and 1950s. To read his account, philosophy moved forward as a consequence of a series of logical debates. 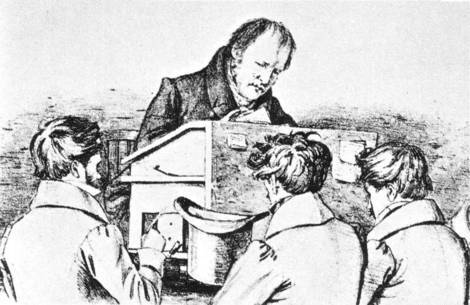 The impetus of Gross’s interest in the development of analytic philosophy in American universities was the impact this movement had on pragmatism. Essentially Gross argues that pragmatism was pushed into a minor role within academic philosophy by the ascendency of positivism and analytic philosophy, and that the latter occurred because of social factors in the university and society at large. Cheryl Misak is a contemporary expert on pragmatism (The American Pragmatists (The Oxford History of Philosophy), New Pragmatists), and she disputes this view from a surprising point of view: she argues that analytical philosophy actually absorbed the greater part of pragmatism, and that one could make the case that pragmatist ideas have great contemporary influence within philosophy. Her argument is summarized in “Rorty, Pragmatism, and Analytic Philosophy” (link). When the logical empiricists arrived in America, they found a soil in which their position could thrive. They did not arrive in a land that was inhospitable to their view, nor did they need to uproot the view they found already planted there. The epistemology and the view of truth that dominated analytic philosophy from the 1930s logical empiricism right through to the reign of Quine, Goodman, and Sellars in the 1950s–60s was in fact pragmatism. The stars of modern analytic philosophy were very much in step with pragmatism during the years in which it was supposedly driven out of philosophy departments by analytic philosophers. It seems to me that it is possible that both Misak and Gross are right, because they are concerned with different aspects of the “field” of academic philosophy. Misak is focusing on the issues of content, logic, and epistemology, and she finds that there is a substantial continuity on these issues across the literature of both analytic philosophy and classical pragmatism. But Gross has taken a broader focus: what are the paradigmatic topics and modes of approach that were characteristic of analytic philosophy and pragmatism? What were the “styles” of thinking that were characteristic of analytic philosophy and pragmatism? And he is right in thinking that, had Peirce, James, and Dewey and their successors prevailed by dominating the chief research departments of philosophy, American academic philosophy would have looked very different. Nelson Goodman is best known within philosophy as an iconoclast within the logical empiricist tradition. He published Fact, Fiction and Forecast in 1954, offering a “new riddle of induction.” Goodman was deeply interested in the arts and he argued that artistic expression is on a par with other forms of assertion and representation — for example, in Languages of Art (1968). And his 1978 book, Ways of Worldmaking, cast doubt on the empiricist project of extracting concepts directly from experience. So Goodman was an important voice within American analytic philosophy. But he had a significant influence on me during my graduate studies in the context of a very different set of problems — the philosophy of psychology. 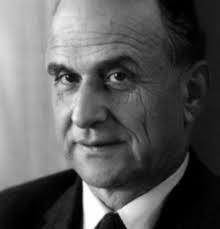 Goodman taught a course titled “Philosophical Problems in Psychology” at Harvard in 1971. The course contained material from the tradition of empiricist philosophy — Locke and Berkeley — as well as then-current research on cognition and representation by empirical psychologists. These included Jean Piaget, Jerome Bruner, T.G.R. Bower, Ray Birdwhistell, Paul Kolers, Michael Posner, and R. W. Sperry. 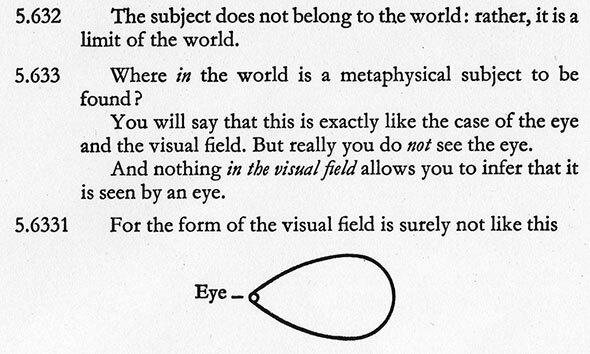 Goodman was interested in how perception works — according to the philosophers and according to the psychologists. The guiding concern was this: what is the nature and origin of the conceptual systems through which human beings make sense of the world around them? The course began with an examination of the theories of perception and representation offered by Locke and Berkeley, beginning with the empiricists’ critique of innate ideas, and then proceeded to contemporary efforts to analyze the same processes in real human beings. Some of the writings of Jean Piaget played a central role in the topics and discussions of this class, including The Construction Of Reality In The Child. Goodman was interested in Piaget’s efforts to chronicle the development of the child’s conceptual world — the formations through which the child makes sense of sensorimotor experience at various ages. 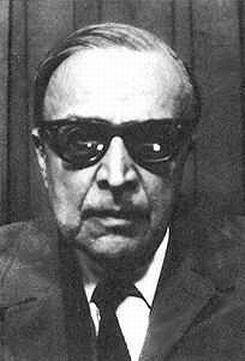 Another noteworthy component of the course was an extensive discussion of Paul Kolers’ work on motion perception eventually published in Aspects of Motion Perception (1972). (This research was published in 1971 as “Figural Change in Apparent Motion”; link.) The phenomenon that Kolers described was a flashing pair of images that oscillated between one geometrical figure and another. The images are stationary, but the visual impression is of a smoothly moving object that changes from one shape to the other. Goodman provided a detailed and perceptive analysis of the methods and assumptions that underlaid Kolers’ treatment of the phenomenon. What is most impressive about this course is the fact that Goodman paid close attention to current work in psychology and the cognitive sciences. Goodman followed a philosophical method in this course that I continue to admire — the idea that philosophical reflections about an area of science can be valuable to the degree that they are closely connected to real research problems in that area of research. This approach leans against a primary focus on big issues — is behaviorism correct? Are there mental entities? — in favor of more specific questions within philosophical and psychological studies of perception. What I now find most interesting about the design of this course is the underlying assumption that philosophers and empirical scientists can find common questions where their methodologies can fruitfully interact to shed greater light on the issues. In this case, philosophers have a lot of questions about perception and conceptual schemes; and cognitive and developmental psychologists are doing experimental and theoretical work that sheds light on exactly these issues. Finding a common vocabulary is challenging for the two research traditions, but it seems clear that the collaboration can be highly fruitful. W.V.O. Quine’s writings were key to the development of American philosophy in the 1950s, 1960s, and 1970s. His landmark works (“Two Dogmas of Empiricism,” “Ontological Relativity,” and Word and Object, for example) provided a very appealing combination of plain speaking, seriousness, and import. Quine’s voice certainly stands out among all American philosophers of his period. Quine’s insistence on naturalism as a view of philosophy’s place in the world is one of his key contributions. Philosophy is not a separate kind of theorizing and reasoning about the world, according to Quine; it is continuous with the empirical sciences through which we study the natural world (of which humanity and the social world are part). Also fundamental is his coherence theory of the justification of beliefs, both theoretical and philosophical. This theory was the source of John Rawls’s method of reasoning for a theory of justice based the idea of “reflective equilibrium.” This approach depended on careful weighing of our “considered judgments” and the adjustments of ethical beliefs needed to create the most coherent overall system of ethical beliefs. Take “Ontological Relativity” (OR), the first of the Dewey Lectures in 1968 (link). The essay articulates some of Quine’s core themes — the behaviorist perspective on language and meaning, the crucial status of naturalism, and the indeterminacy of meaning and reference. But the essay also demonstrates a sensitive and careful reading of Dewey. Quine shows himself to be a philosopher who was able to give a respectful and insightful account of the ideas of other great philosophers. Philosophically I am bound to Dewey by the naturalism that dominated his last three decades. With Dewey I hold that knowledge, mind, and meaning are part of the same world that they have to do with, and that they are to be studied in the same empirical spirit that animates natural science. There is no place for a prior philosophy. (185). 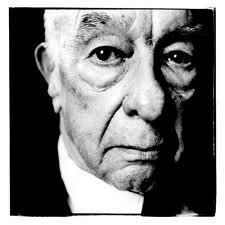 In OR Quine refers to a key metaphor in his own understanding of language and meaning, the “museum myth” theory of meaning. “Uncritical semantics is the myth of a museum in which the exhibits are meanings and the words are labels. To switch languages is to change the labels” (186). Against the museum myth, Quine argues here (as he does in Word and Object as well) for the indeterminacy of “meaning” and translation. The basic idea of indeterminacy of translation, as expressed in WO, comes down to this: there are generally alternative translation manuals that are possible between two languages (or within one’s own) which are equally compatible with all observed verbal behavior, and yet which map expressions onto significantly different alternative sentences. Sentence A can be mapped onto B1 or B2; B1 and B2 are apparently not equivalent; and therefore Sentence A does not have a fixed and determinate meaning either in the language or in the heads of the speakers. As Quine observes in his commentary on his example from Japanese concerning the translation of “five oxen”, “between the two accounts of Japanese classifiers there is no question of right and wrong” (193). Returning to the extended example he develops of indeterminacy of translation around the word “gavagai” that he introduced in Word and Object, Quine notes that the practical linguist will equate gavagai with “rabbit”, not “undetached rabbit part”. But he insists that there is no objective basis for this choice. In “Ontological Relativity” Quine takes the argument of the indeterminacy of meaning an important step forward, to argue for the “inscrutability of reference.” That is: there is no behavioral basis for concluding that a given language system involves reference to this set of fundamental entities rather than that set of fundamental entities. So not only can we not say that there are unique meanings associated with linguistic expressions; we cannot even say that expressions refer uniquely to a set of non-linguistic entities. This is what the title implies: there is no fixed ontology for a language or a scientific or mathematical theory. These are radical and counter-intuitive conclusions — in some ways as radical as the “incommensurability of paradigms” notion associated with Thomas Kuhn and the critique of objectivity associated with Richard Rorty. What is most striking, though, is the fact that Quine comes to these conclusions through reasoning that rests upon very simple and clear assumptions. Fundamentally, it is his view that the only kinds of evidence and the only constraints that are available to users and listeners of language are the evidences of observable behavior; and the full body of this system of observations is insufficient to uniquely identify a single semantic map and a single ontology. Who made Wittgenstein a great philosopher? Why is the eccentric Austrian now regarded as one of the twentieth century’s greatest philosophers? What conjunction of events in his life history and the world of philosophy in the early twentieth century led to this accumulating recognition and respect? We might engage in a bit of Panglossian intellectual history (“everything works out for the best!”) and say something like this: The young man Wittgenstein was in fact exceptionally talented and original, and eventually talent rises to the attention of the elite in a discipline or field of knowledge. But this is implausible in even more ordinary circumstances. And the circumstances in which Wittgenstein achieved eminence were anything but ordinary. His formal training was in engineering, not philosophy; his national origin was Austria, not Britain; his early years were marked by the chaos of the Great War; his personality was prickly and difficult; and his writings were as easily characterized as “peculiar” as “brilliant”. The idea of a “field” introduced by Bourdieu in The Field of Cultural Production is particularly helpful in addressing this topic. 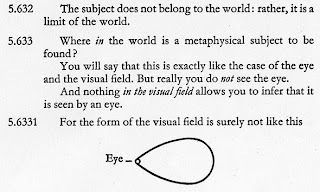 (Here is a post that discusses the idea of a field; link.) The field of philosophy at a given time is an assemblage of institutions, personages, universities, journals, and funding agencies. The question of whether an aspiring young philosopher rises or languishes is a social and institutional one, depending on the nature of his/her graduate program, the eminence of the mentors, the reception of early publications and conference presentations, and the like. Indicators and causes of rising status depend on answers to questions like these: Are the publications included in the elite journals? Are the right people praising the work? Is the candidate pursuing the right kinds of topics given the tastes of the current generation of “cool finders” in the profession? This approach postulates that status in a given profession depends crucially on situational and institutional facts — not simply “talent” and “brilliance”. And in many instances, the reality of these parameters reflexively influence the thinker himself: the young philosopher adapts, consciously or unconsciously, to the signposts of status. 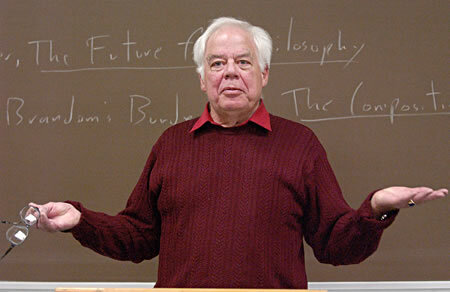 Neil Gross’s biography of Richard Rorty (Richard Rorty: The Making of an American Philosopher) provides a great example of careful analysis of a philosopher’s career in these terms (link). Gross provides a convincing account of how the influence of the field’s definition of the “important” problems affected Rorty’s development, and how the particular circumstances of the Princeton department affected his later development in an anti-analytic direction. Camic, Gross, and Lamont provide similar examples in Social Knowledge in the Making, including especially Neil Gross and Crystal Fleming’s study of the evolution of a conference paper. What were some of the situational facts that contributed to Wittgenstein’s meteoric rise? One element seems clear: Wittgenstein’s early association with Bertrand Russell beginning in 1911, and the high level entrée this provided Wittgenstein into the elite circles of philosophy at Cambridge, was a crucial step in his rise to stardom. And Wittgenstein’s status with Russell was itself a curious conjunction: Wittgenstein’s fascination with Frege, aspects of Tractatus that appealed to Russell, and Wittgenstein’s personal intellectual style. But because of this association, Wittgenstein wasn’t starting his rise to celebrity in the provinces, but rather at the center of British analytic philosophy. Another element is one that was highly valued in Cambridge culture — the individual’s conversational skills. Simply being introduced into a circle of eminent thinkers doesn’t assure eminence. Instead, it is necessary to perform conversationally in ways that induce interest and respect. LW was apparently charismatic in an intense, harsh way. He was passionate about ideas and he expressed himself in ways that gave an impression of brilliant originality. He made a powerful impression on the cool-finders. And then there are his writings — or rather, his peculiar manuscript, Tractatus Logico-Philosophicus. One could easily have dismissed the manuscript as a mad expression of logicism run wild, with its numbered paragraphs, its dense prose, and its gnomic expressions. Or one could react, as Russell did, with understanding and fascination. But without the reputation created by the reception of TLP, Wittgenstein would never have gotten the chance to expose the equally perplexing and challenging thinking that was expressed in Philosophical Investigations (3rd Edition). In fact, almost all of LW’s written work is epigrammatic and suggestive rather than argumentative and constructive. When there is insight, it comes as a bolt from the blue rather than as a developed line of thought. So what if we test out this idea: a verbally brilliant man, a charismatic interlocutor, a person with original perspectives on philosophical topics and methods — but also a figure who benefited greatly from some excellent marketing, some influential patrons, and some situationally unusual lucky breaks. Had Russell been less patient, had publishers found TLC too weird for their liking, had Moore been less open-minded about Wittgenstein’s PhD defense — then analytical philosophy might no longer remember the name “Wittgenstein”. This interpretation of Wittgenstein’s stature suggests something more general as well: there is an enormous dollop of arbitrariness and contingency in the history of ideas and in the processes through which some thinkers emerge as “canonical”. Anat Biletzki and Anat Matar provide an excellent introduction to Wittgenstein’s philosophy in the Stanford Encyclopedia of Philosophy (link). What is the philosophy of history? A second group of philosophers, also largely continental, were inspired by the strong connections that exist between individual human life and expression, and large collective events and processes. The theory of hermeneutics attempts to provide an intellectual framework for analyzing and interpreting meaningful human expressions – poetry, actions, thoughts, and motives. Hermeneutic philosophers in the nineteenth and twentieth centuries extended this approach to efforts to understand large historical events and processes in similar terms. Wilhelm Dilthey was one of the early exponents of the hermeneutic approach to human affairs. Hermeneutic philosophy of history seeks to understand events, movements, and processes in terms of the meanings that they embody and the meaningful relations they bear to other historical events. Another group of philosophers, often in the twentieth century and often English-speaking, have focused their attention on the nature of historical knowledge rather than the concrete events of history. Analytic philosophers have wanted to clarify the grounds of historical knowledge and explanation. Issues such as the nature of narrative, the role of general laws in historical explanations, and the objectivity or subjectivity of historical judgment have been taken up by Arthur Danto, Patrick Gardner, Carl Hempel, and others. This approach is sometimes referred to as “analytical”; more generally, we might say that it is epistemological and methodological. New questions have emerged since World War II within the discourse of philosophy about “history” by philosophers, both analytical and continental. These new areas were stimulated, first, by the atrocities of the Holocaust, and the effort to make sense of this horrendous tear in the fabric of modern civilization. How are we to make sense of the Holocaust? How should we remember it? A second source of new thinking about history by contemporary philosophers is the linguistic and semantic turn that many of the human sciences took in the 1970s and 1980s (Rorty, 1967). A cohort of writers in the 1980s and 1990s undertook to approach history from the point of view of narrative and meaning. In some ways this was a return to the hermeneutic approach to human affairs of the nineteenth century; but it was also original in that it brought new thinking from the philosophy of language into the debate. There is a valid but limited place for metaphysical research in the area of the philosophy of history. Fundamentally, we need to have a clearer specification of the meaning of key concepts that we use in analyzing and describing historical events and structures. Philosophers can help in probing and refining these concepts. These ontological questions are really about our conceptual schemes rather than about substantive historical facts. What presuppositions are we making when we divide history into epochs or regions? Does it make sense to refer to civilizations as a whole? So we need a more explicit theory of historical ontology, and the philosophy of history can help to provide such a theory. What we cannot hope to achieve is an apriori discovery of the reality of history – its meaning, direction, or foundational causes. This is not a limitation of our ability to discover historical truths, but rather a reflection of the fact that there are no general answers to these questions at all. Kant’s critique of substantive metaphysics is decisive here. As this summary suggests, there are many unanswered questions that philosophers can usefully pose to the discipline and facts of history. For this reason it is timely to consider some new approaches to the philosophy of history. The past decade has seen several contributions that are difficult to classify according to the distinctions provided above. They are analytic but not reductionist; they pay attention to narrative but nonetheless attribute rational warrant to historical accounts; and they are respectful towards the actual practices of gifted historians, rather than assuming that the philosophy of history can proceed as a separate philosophical discourse. Significantly, new contributions to this subject come from philosophers, literary critics, anthropologists, and historians. Perhaps this is a clue for how the field might most productively move forward: by incorporating several philosophical perspectives, by raising new questions, and by reaching across the human sciences as well as philosophy to find some innovative new answers. A sign of arrival for a sub-discipline is the appearance of a handbook for the field. By that criterion, the philosophy of social science has passed an important threshold with the appearance of Ian Jarvie and Jesus Zamora-Bonilla’s SAGE Handbook of the Philosophy of Social Sciences . The 750-page volume offers 37 main articles, as well as an extensive reflective introduction by Ian Jarvie and an epilogue by Jesus Zamora-Bonilla. A majority of the contributors are European, confirming an impression that the most active research networks in this field are currently in Western Europe. Germany and the Scandinavian countries are particularly well represented. Among these approaches he highlights Marxist, phenomenological and Foucauldian philosophies and theories of the social sciences. His finding is one that I agree with — that one of the particularly valuable aspects of the continental traditions is the fact that thinkers in this tradition have offered large, insightful conceptual schemes for thinking about social life — whether historical materialism, ethnomethodology, or the rhetoric of power. He writes, “I guess that if continental philosophies seem attractive to many social scientists, it is because they offer the prospect of a somewhat radical reconstruction of current research practices” (96). Particularly interesting for me were contributions by Alban Bouvier (“Individualism, Collective Agency and The “Micro-Macro Relation”), Daniel Steel (“Causality, Causal Models, and Social Mechanisms”), Joan de Marti and Yves Zenou (“Social Networks”), Peter Hedstrom and Petri Ylikoski (“Analytical Sociology”), Chris Mantzavinos (“Institutions”), and Jeroen Van Bouwel and Erik Weber (“Explanation in the Social Sciences”). What is particularly valuable in this collection is the fact that most of the essays are not dogmatic in their adherence to a “school” of philosophical thought. Instead, they get down to the serious business of understanding the social world, and understanding what is involved in achieving a scientific understanding of that world. Chris Mantzavinos’s essay, “Institutions,” is a good example of this intellectual pragmatism. His contribution is a careful study of the new institutionalism and the variety of theoretical challenges that the concept of an institution raises. The essay is very well grounded in the current sociology and political science literatures on institutions, and it goes on to make substantively interesting points about these debates. “Only a theory of institutions that increases our information about the structure of social reality can provide us with the means of reorienting this reality in a direction that we find desirable” (408-9). Many of the contributors — probably the majority — have taken seriously what I think is a particularly fundamental requirement for productive work in the philosophy of an area of science. This is the need for the philosopher to take up the particular theories and controversies of some current research in the social sciences as a framework and stimulus to their philosophical analysis. The philosopher needs to gain a significant level of expertise in a particular field of social science if his or her work is likely to find traction with conceptual issues that really matter. The topics for the philosophy of social science should not derive from apriori speculation about society; instead, they should be selected on the basis of careful engagement with serious empirical and theoretical attempts to explain the social world. We often think of Hobbes as being an originator in English philosophy, a strikingly innovative thinker who burst on the scene with the first formulation of a social contract theory of government. And we sometimes think of his justification of absolute sovereignty as a fairly direct reaction to the disorders Britain experienced during its Civil War and Glorious Revolution. Richard Tuck’s Hobbes: A Very Short Introduction puts Hobbes into a much more nuanced position. I think his point here is an important and insightful one: philosophy was reinvented in the Europe of the 16th and 17th centuries, and swerved dramatically away from ancient and medieval philosophy. It was a new project, motivated by different problems, assumptions, and goals. Tuck gives a good deal of attention to Hobbes’s biography, with the implication that these historical, social, and familial circumstances contributed to shaping the philosophical imagination of the maturing thinker. The situation of service as tutor and secretary to the household of William Lord Cavendish that occupied Hobbes for most of his life plays an important role in his intellectual development. It also provided him with direct access to some of the great intellectuals and scientists of France and Venice, including eventually Mersenne, Descartes, and Galileo. A central intellectual theme in the air during Hobbes’s early development was that of humanist skepticism about empirical and ethical knowledge. 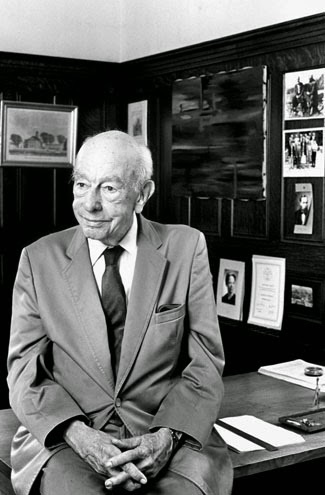 Tuck argues that Hobbes defined his thought in terms of an effort to create a new, though more modest, basis for knowledge in both empirical and ethical matters. He was greatly influenced by the example and thinking of Galileo. Galileo’s Dialogue Concerning the Two Chief Systems of the World appeared in 1632, and during 1634 Hobbes purchased a copy of the book for Newcastle. One of the key issues in the philosophical world was whether the senses deceive us; and Hobbes followed Descartes in holding that the observable features of the world (color, smell) should not be understood to directly correspond to real characteristics of the invisible reality of the object. Hobbes was interested in optics and mathematics — the areas of science that appeared to be most relevant to the question of the real features of the world. In fact, Tuck leaves the impression that philosophy of science is as important in Hobbes’s work as the philosophy of politics. Another core theme in Hobbes’s itinerary is a visceral opposition to government religion — religious requirements embodied in the state. And Tuck shows with repeated examples why this issue was so important during the Civil War; the struggle between contending sides had very much to do with the scope of religious discipline to be imposed by the state. Hobbes was opposed to religious law and mandates of belief, and therefore found himself in roughly the camp of the Tolerationists. Tuck summarizes Grotius’s core theory in two fundamental principles: “All men would agree that everyone has a fundamental right to preserve themselves, and wanton or unnecessary injury to another person is unjustifiable” (26). Tuck finds that these principles have counterparts in Hobbes’s arguments in Leviathan. So Tuck seems to be putting forward several important strands of interpretation that run against the grain of the customary telling of Hobbes’s philosophy: first, that his philosophy of science and sensation plays a larger role than we might have thought; and second, that his most famous theory, the theory of unlimited sovereignty, has rather specific roots in Hobbes’s immediate intellectual context (Grotius) and political environment (struggles over the extent of religious legislation). 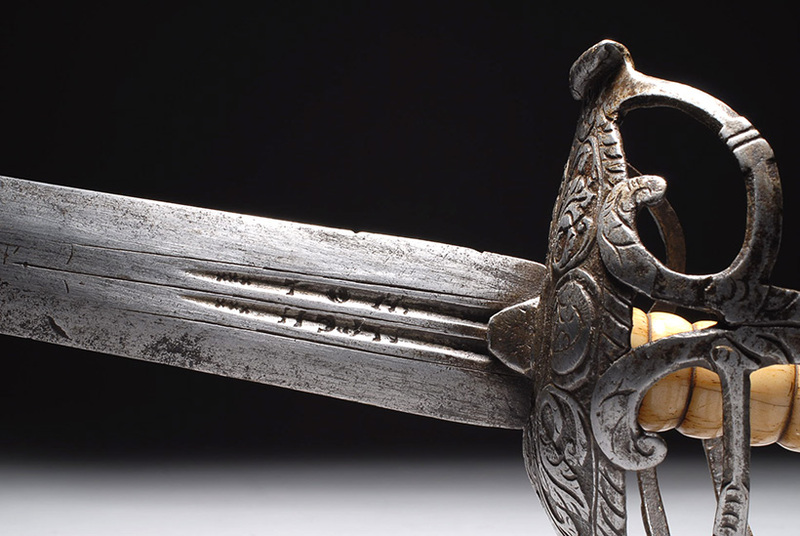 It is not the result of a purely abstract reflection on the situation of rational persons in a state of nature, but rather a complex argument that intertwines with England’s own political tensions in mid-seventeenth century.